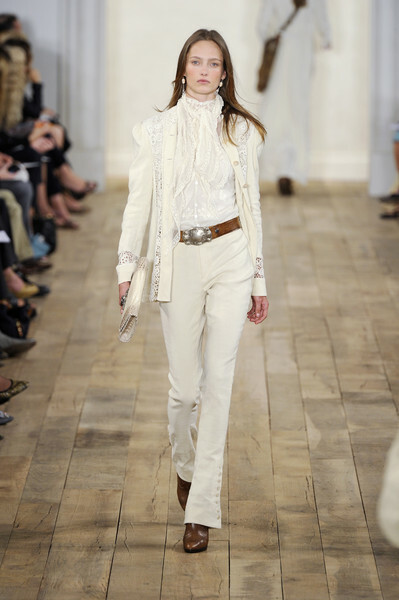 After a few strong seasons Ralph Lauren played it safe and also ‘on trend’ with a western inspired collection. I say safe, because this is the subject he’s good at and he did it before and it made him famous. 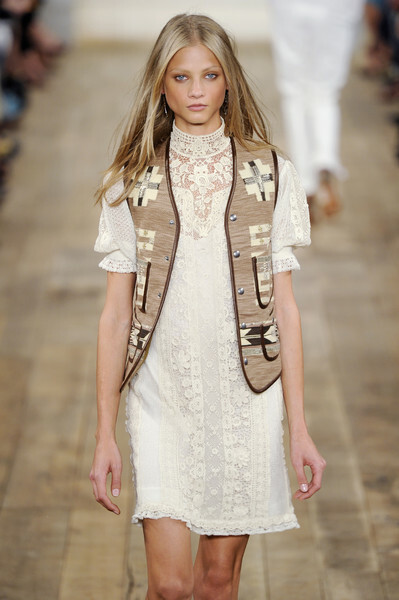 ‘Little house on the prairie’-dresses were mixed with leather cowgirl pants, poet-blouses, leather jackets with fringes, jackets with lace inserts and Navajo-patterns for bags and vestst. 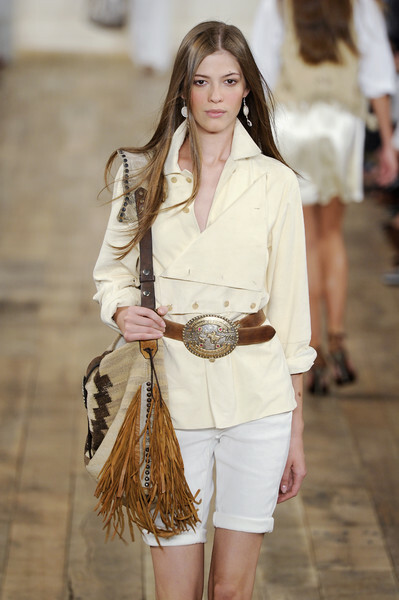 Accessories were alike: belts with big buckles, silver chokers, hats and scarves. 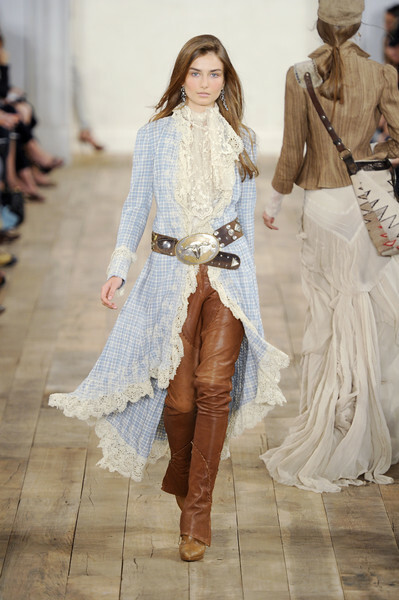 Although The West is a theme during this New York Fashion Week (Rodarte, Donna Karan), the Ralph Lauren-collection didn’t add anything new or inspiring to what we already saw. But hey, it will sell anyway – especially if you’re not into minimalism or arty-farty-styles.